When Veena Malik got married to Asad Bashir Khan, there was one person who was very upset with this marriage. He was none other than Prashant Pratap Singh, who was former digital media manager of Veena Malik in India. 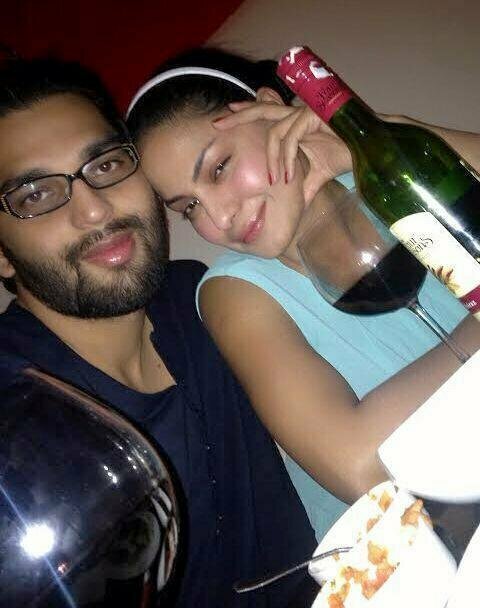 He leaked some controversial pictures of Veena Malik on Twitter with him. The controversy was ongoing for some time and Asad Bashir Khan and Veena Malik disclosed that the media manager has hacked Veena Malik’s Twitter account. She then made a new one. Now Veena Malik has released an audio tape in which Prashant Pratap Singh is talking to his friend and he is telling one of his friends that he want to destroy the credibility of Veena Malik to such an extent that no one is ready to believe her even when she is telling the truth. The story seems to be like a servant (Prashant Pratap Singh) was hired for a salary of 10,000 Rupees suddenly started to dream about marrying the boss (Veena Malik). When he heard of Veena Malik getting married to Asad Bashir Khan, he had no choice but to de-fame her by releasing her controversial images. He further claimed that Veena Malik deceived him and she was pregnant with his child. Veena Malik revealed that she kept some of his valuable luggage worth hundreds of thousands of Rupees with Prashant Pratap Singh, but after the marriage when she asked him to return the stuff, he denied returning it. Furthermore Veena Malik said that Prashant Pratap Singh is married and his wife is not happy with him and a case in the court is already in progress so that she can get rid of him. She said that is not all but there are some other police cases registered against Prashant Pratap Singh and she urged her followers and fans not to fall for these dirty tricks as she has a lot of respect for her fans both in India and Pakistan.